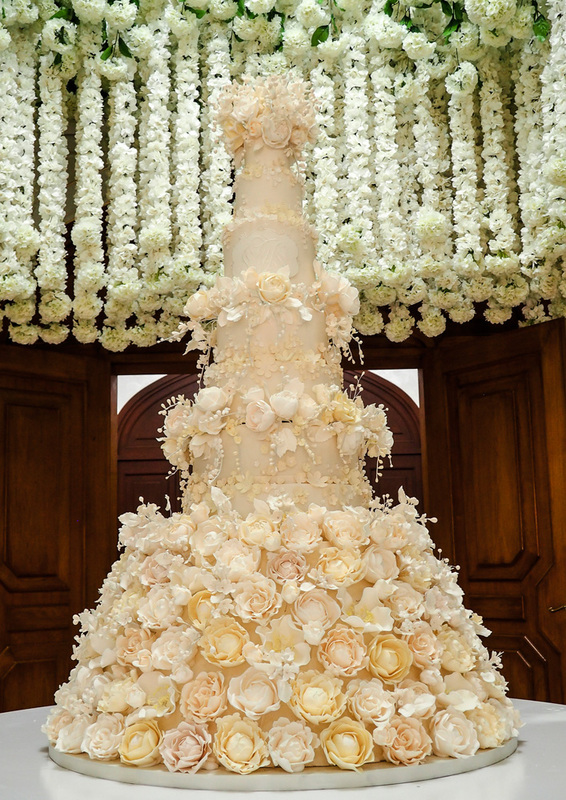 Wondering where to begin when it comes to choosing your perfect wedding cake? Start here. 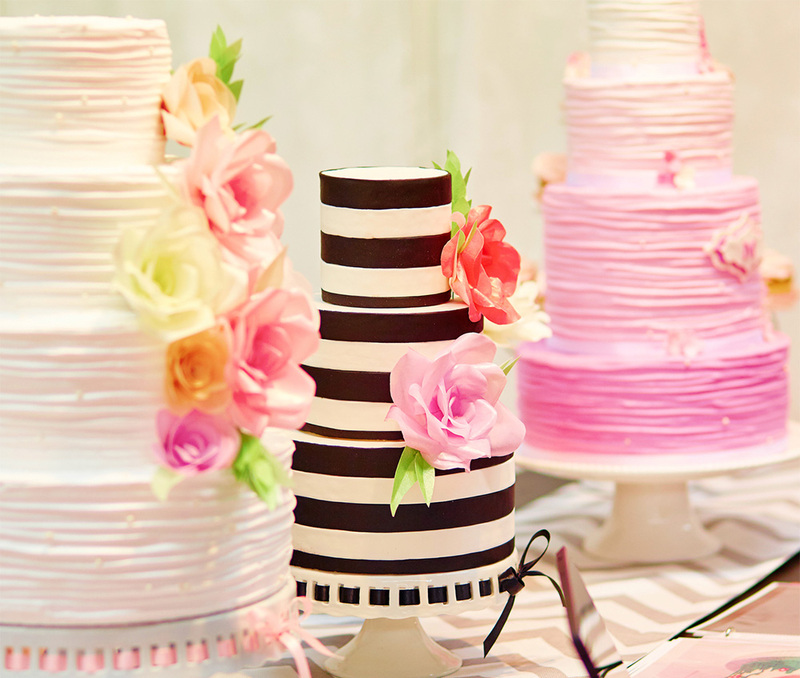 Here are some guidelines to help you make your dream cake a reality. Choose a reputable baker. If you don’t know where to start, online is a good place to begin. Research bakers you want to work with. Most bakers have a website with a gallery of wedding cakes you can view. You can also visit the bakery in person and meet the baker for a consultation. You want to work with a baker that is dedicated to turning your ideas into your dream cake. Bring your design, either an original sketch or a photograph, with you so that you can share your vision with the baker. Your ideal baker should be one that is knowledgeable of the latest trends, techniques, and should be easy to communicate with. If you are a cake newbie and don’t understand the terminology, a knowledgeable baker can answer all your questions. If the baker rushes you, doesn’t answer your questions, or ignores your wishes, you probably should think twice about working with that particular baker. Feedback from other couples that have employed the baker’s services is important too. They could give you an idea of overall satisfaction. Try before you buy. Perhaps the best part of choosing a cake is the tasting! You should absolutely love the way your cake tastes. Don’t assume you will like the taste based on the look of the cake. There are hundreds of potential flavors and icing combinations. Don’t be shy to request samples. Try it before you commit to ordering it, to avoid any regrets. Give yourself plenty of time. Don’t wait until the last minute to choose and order your cake or risk facing disappointment. Give yourself time to seek out a baker, sample cakes, and order well in advance. A time frame of 2-6 months is ample time to decide on and order a cake. Get creative. Modern brides are getting creative with their wedding cakes. Some have had their wedding dress or bridal jewelry match their cakes. 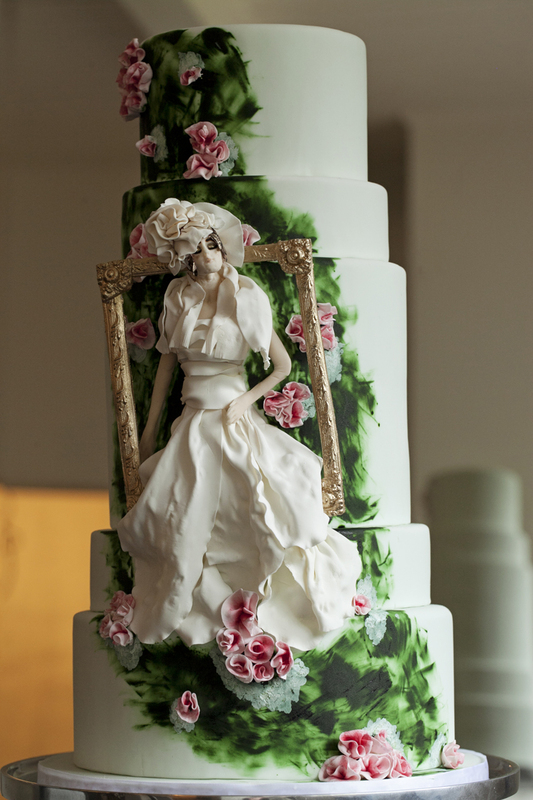 An element of the dress such as a ruffle or embroidery can be replicated on a cake. 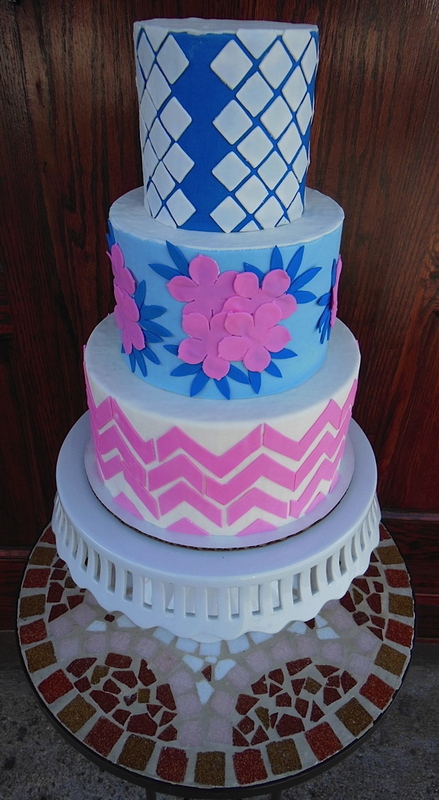 Some brides have even had their cakes match their wedding decor colors. There really are no rules. How you decide to make your dream cake original is entirely up to you.